Vacations in Gdansk aren’t just about the beach. They’re also about sightseeing and great fun in places dedicated to the youngest travellers. So even if there’s a rainy day, there’s no cause for concern. All the more now that we’ve prepared for you ten ideas for spending time with children on a cool or rainy day. The best way to take advantage of the bad weather is to go on a family museum tour. A Tourist Card might prove to be a good solution, particularly the "Family & Fun" package, which provides free entry to 12 interesting places and reduced entry to 21 more. We suggest you start your stroll through the museums at the City of Gdansk Historical Museum in the Gdansk Main Town Hall. During the summer season, for a small fee, you can access the observation gallery in the tower, which, at a height of approximately 50 metres, offers an amazing panoramic view of Gdansk. Near the Town Hall, at ul. Dluga 12, is Uphagen’s House, which is worth a visit to see how the homes of Gdansk merchants looked in the 18th century. A holiday in Gdansk would be incomplete without a visit to the Museum of Amber – check it out! Children can not only see a unique collection of beautiful natural specimens, but also learn how amber is formed, how it is processed and what wondrous properties it possesses. Idea 2. Feel the maritime climate of Gdansk! Since you’re at the seaside, you also have to visit the museums related to the aquatic nature of our city. Start your walk at the SS Soldek, the first seagoing vessel build in a Polish shipyard after the Second World War, docked next to the historic granaries. Visitors have access to almost all rooms of the historic collier, including the engine room, the officers’ and sailors’ quarters, and the captain’s bridge. Near the SS Soldek is another branch of the National Maritime Museum – the Granaries on Olowianka Island – especially recommended for families with children. There are many models of ships and vessels on display and several interesting exhibits from maritime expeditions, including the cargo of the medieval merchant ship called Miedziowiec, as well as artillery, equipment and the personal belongings of sailors from the Swedish warship Solen, which sank in the waters of Gdansk Bay during the battle of Oliwa in 1627. The majestic Crane, the symbol of Gdansk and the oldest surviving port crane in Europe, also stands along the Motlawa River. The tour will take you about one hour and it is worth visiting, as inside the Crane there is an intriguing exhibition depicting the life of the port city from the 16th to the 18th century. A stroll through its wooden narrow corridors also makes quite an impression, as does the view of the marina and its yachts. 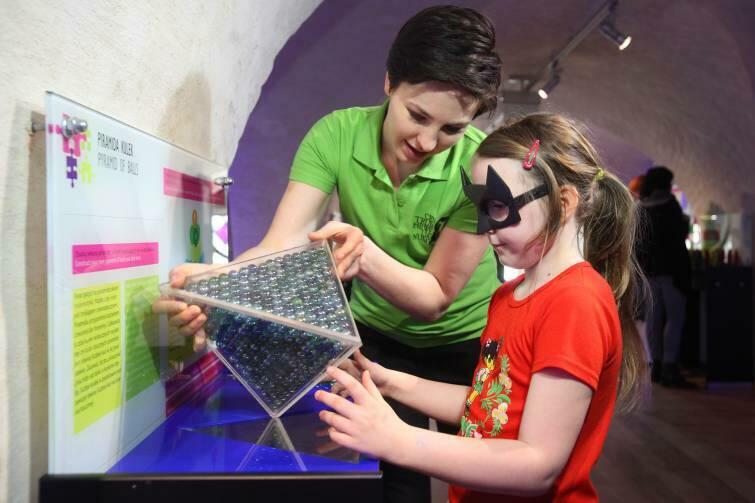 A visit to the Hewelianum Centre, located on the former site of the Hail Hill Fort, is also an ideal solution for a rainy day, and all the more since they’ve prepared a special summer program. 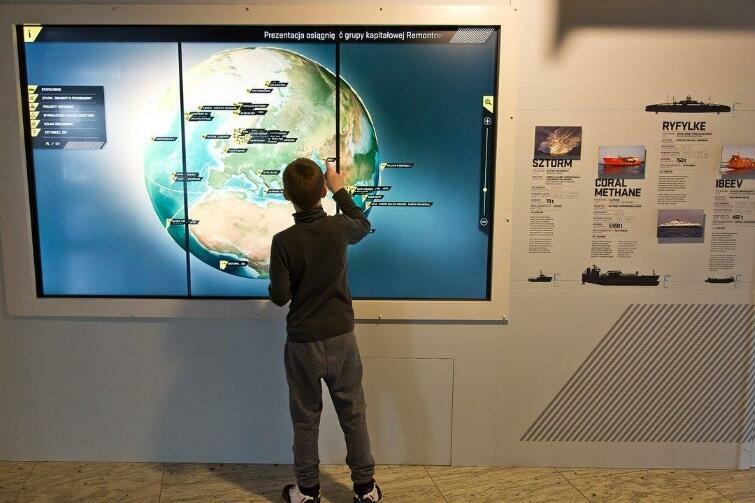 Children can enjoy planetarium shows, follow the stars using a telescope, explore an interactive exhibition about the fascinating world of bees, watch spectacular chemistry and physics demonstrations, and even encounter the ghosts of the night, thanks to a nearly two-hour guided tour which takes participants through the usually inaccessible maze of underground corridors and fortifications. The European Solidarity Centre is also a good place to spend time with the family. 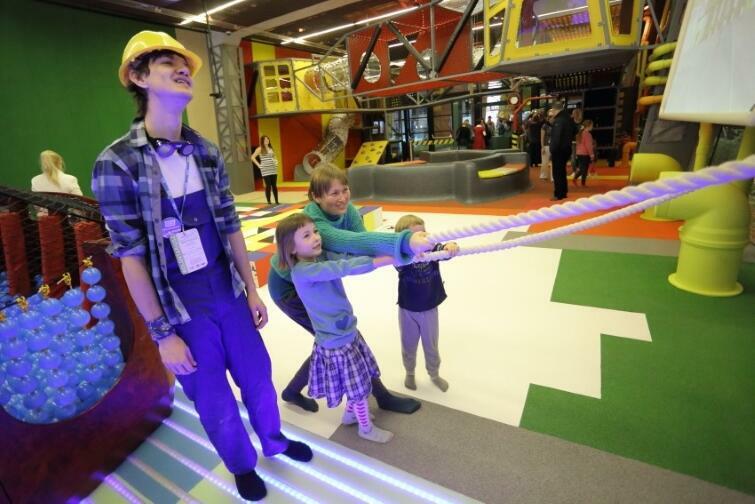 Older children can explore the permanent exhibition dedicated to the history of Solidarity, while younger children can visit the play department, and 400-square metre space where, according to the ESC website, “Kids learn what “solidarity” means, and how much good you can do by working together.” Please note that children are admitted to the play department on the hour. At the end of your visit to the European Solidarity Centre, if weather permits, we offer you something that will appeal not only to children, but to adults as well – a stop at the building’s observation deck. It is located on the roof of the centre, at a height of 25 metres. From there, you’ll have a wonderful view not only of the former Gdansk shipyard, but also of the Gdansk city centre, so bring your binoculars! Fans of the sport will have good fun at the Energa Gdansk Stadium. When visiting the amber-coloured stadium, you’ll have a chance to see areas that are normally off-limits, including the locker rooms, the meeting room where coaches meet before and after matches, the stadium chapel, the mixed zone, and the pitch itself. 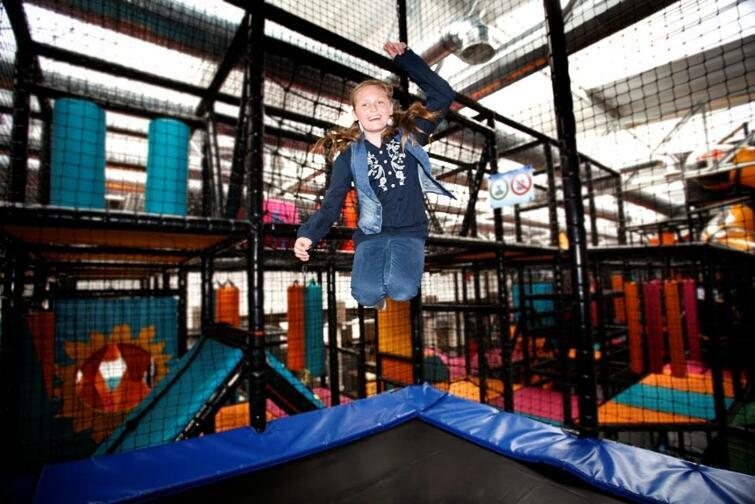 An additional advantage of a visit to the stadium is the Fun Arena, a large amusement park located inside the stadium, with attractions including a zip line, go karts, electronic paintball, the movement arena (a huge trampoline park), and even escape rooms, which recently have become very popular. For lovers of active holidays and winter sports enthusiasts, we recommend Skimondo (ul. Grunwaldzka 355, Gdansk) – Poland's only year-round ski club with artificial slopes in the form of an enormous treadmill. 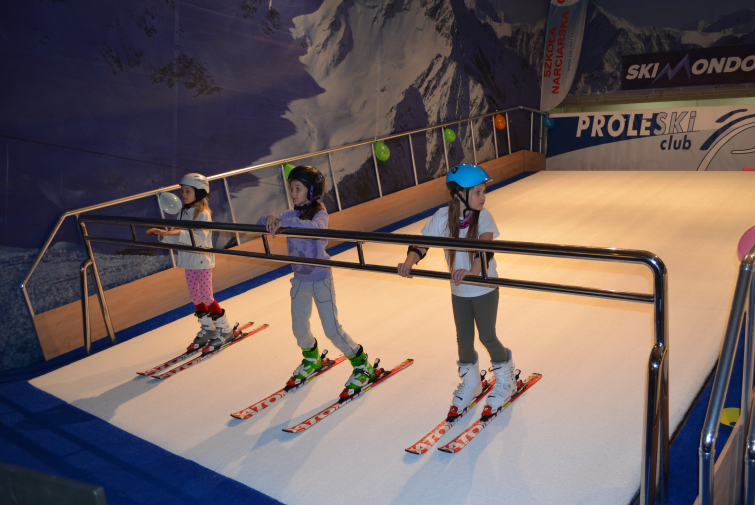 If you didn’t take your skis with you on your seaside holiday, don’t worry – they offer equipment rental. To avoid being disappointed, however, please remember to make an appointment to Skimondo in advance as its very popular. Now an idea specifically for parents, but don’t worry – children will also enjoy it. We offer you a sentimental journey back to your childhood, that is, a visit to the Old Toys Gallery, an incredible collection of Polish toys produced from 1920-1989. Doesn’t sound too bad, right? For those who really enjoy the maritime climate, we recommend a day trip to Gdynia. The Dar Pomorza, another museum ship well worth visiting, is anchored next to Kosciuszko Square. It has the most beautiful Polish three-masted ship, also called the “White Frigate”. Visitors can explore the engine room, the officers’ mess, the cadet quarters, the commander’s room, and the bridge. We also highly recommend a visit to the museum ship Lightning, the legendary World War II Polish Navy destroyer, famous for its daring operations against the Nazi Kriegsmarine. 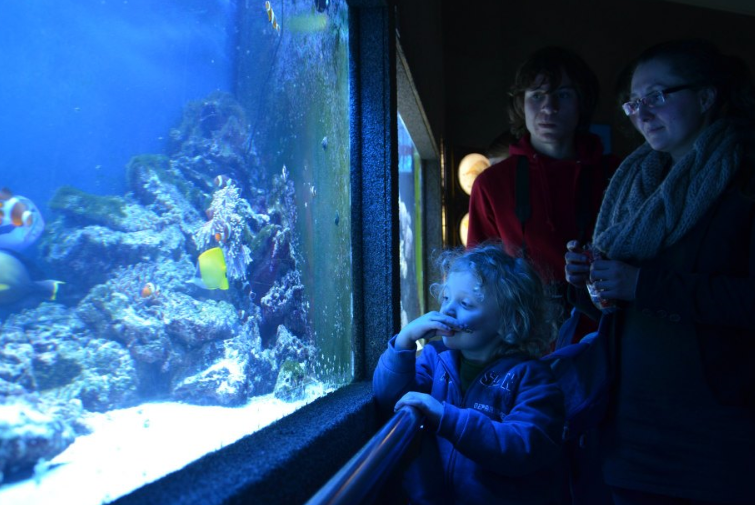 On the other side of Kosciuszko Square is the Gdynia Aquarium, which also will help you forget about the bad weather. There you’ll find 130 tons of water containing nearly 2,000 fish, amphibians and reptiles from all over the world. The accommodation options available in Gdansk are yet another factor that makes the city an excellent destination for family stay. Some of the hotels recommended by families include Kozi Grod, the Golden Tulip Gdansk Residence, Dwor Oliwski Hotel, Mercure Gdansk Posejdon and the Amber Hotel. Finding restaurants with a kids' menu should not be a problem, either. 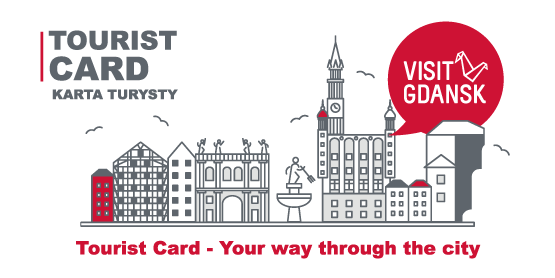 Check out "where to stay" and "taste Gdansk".